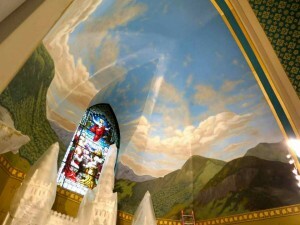 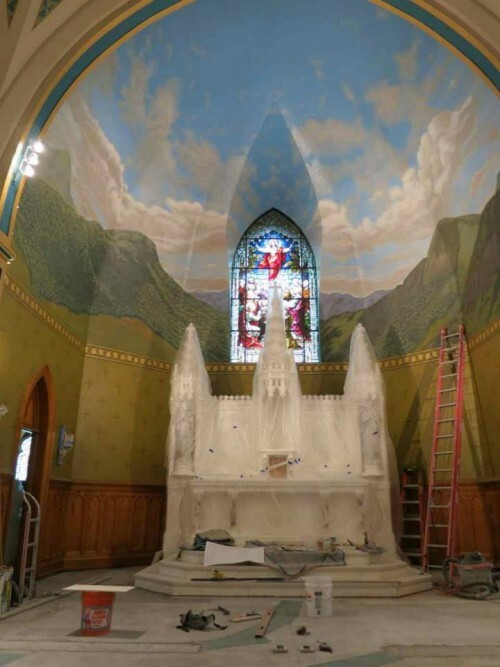 A large mountain landscape mural, 52’x 22′, was designed and painted in the dome of the sanctuary at St. Agnes*. The local view of the Adirondack mountains as seen from Lake Placid was incorporated into the landscape. 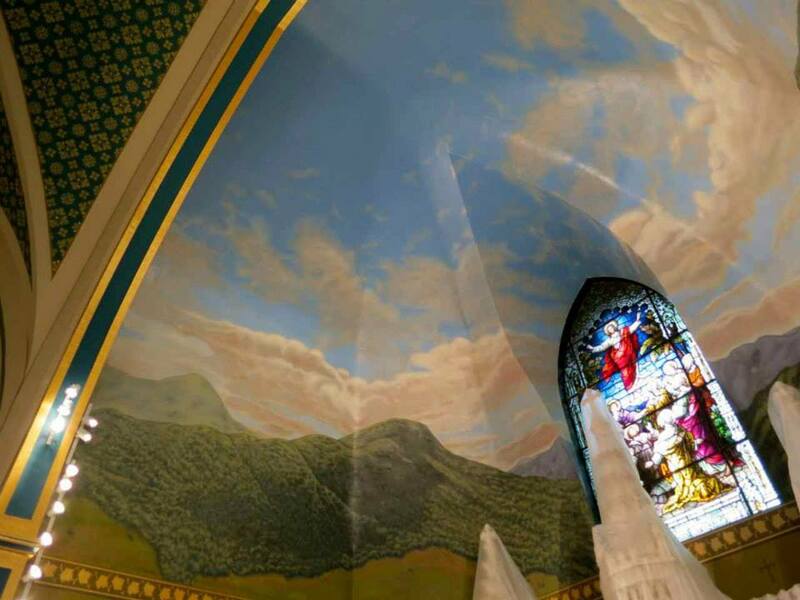 A special cross was designed for the church and stenciled onto the wall below the mural. 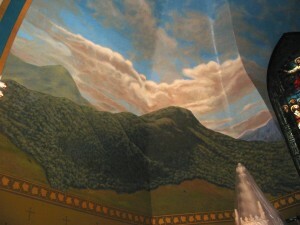 A frieze design of leaves was painted, separating the mural above from the stenciled wall below . 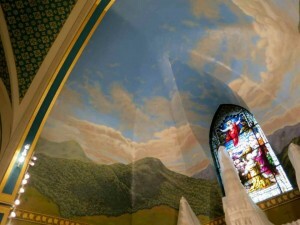 Two side niches were painted with skyscapes mirroring the sky in the sanctuary mural, and a trompe l’oeil frame was painted around each one. 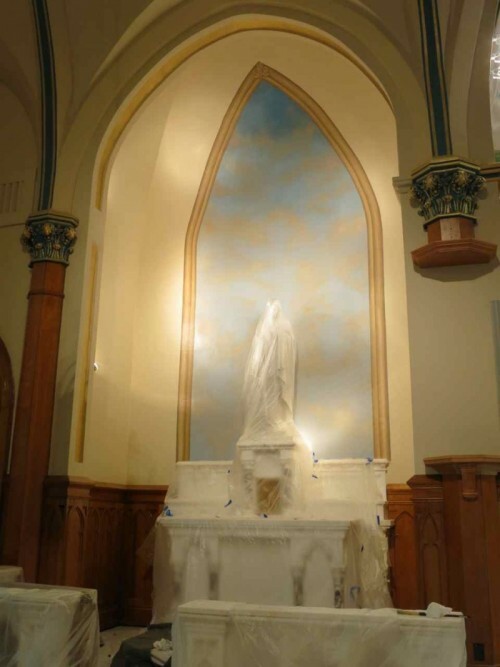 *This work was done in conjunction with Baker Liturgical Arts, LLC.